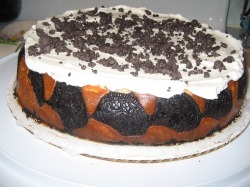 Rich, creamy Oreo cheesecake on crushed Oreo crust with Oreo cookie sides. Topped with whipped cream and Oreo crumbles. 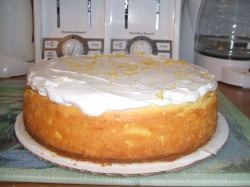 Creamy lemon cheesecake with whipped cream, topped off with freshly zested lemon. 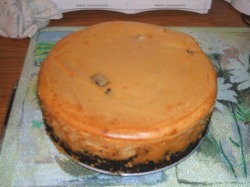 Decadent peanut butter cheesecake with pieces of Reese's peanut butter cup throughout on an Oreo crust. 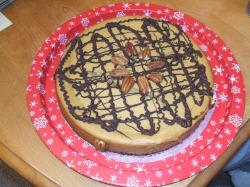 Rich, creamy pumpkin cheesecake on an oreo crust with pecans and chocolate drizzle. 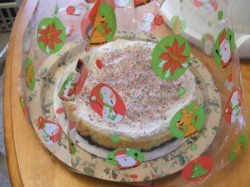 White chocolate candy cane cheesecake on an oreo crust. Sprinkled with crushed candy cane.